Do you find yourself slouching in your office chair even though you know you're doing your back no favors? Have you been considering a back brace to correct your posture, but you don't want to deal with an awkward contraption every day? Made with 100% top-quality neoprene, this medical-grade device is designed to safely and naturally support your upper body and bring your back into its proper configuration; all you need to do is wear it for a period of time every day. 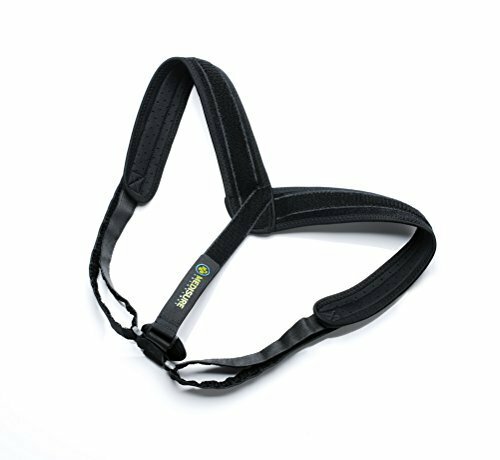 The extended straps allow you to find the proper tightness and positioning of your posture corrector without relying on anyone else for help. It fits chest sizes 28-48 and works equally well for men and women. This back supporter can do its job just as well whether you wear it on top of or beneath your clothing. It's barely noticeable when worn inside your shirt. When you're ready to clean it, just hand wash and hang to dry. Whether you're wearing it on the go or in the office, this bad posture corrector also serves to bring your core back into alignment. The result is not only immense back, neck and joint pain relief but also muscle realignment which can aid in balance and exercise your core. We want to give you ample time to feel the full effect of your naturally-aligned body. That's why we give you a full 30-day money-back guarantee with our Medisure Posture Corrector. If you don't notice the burden on your back easing as your posture improves, simply contact us to receive a full refund in short order. Say Goodbye to Bad Posture and Embrace Natural Realignment; Order Your Medisure Posture Corrector Today! [BACK POSTURE CORRECTOR] Made of a thin breathable material which can't be noticed under clothes and is great for home, work or gym. Made with 100% top-quality neoprene and fits sizes 28"- 48"
If you have any questions about this product by Medisure Solutions, contact us by completing and submitting the form below. If you are looking for a specif part number, please include it with your message.